A lot of people think of Roses when they think of Valentine’s Day, but there is so much more about Rose to love! 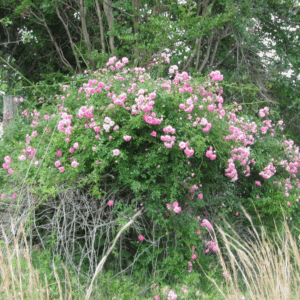 Let’s start with the thorns – which you might think is somewhat strange, but the thorns are exactly what makes Rose such an amazing protector of small furry creatures and little feathered friends. 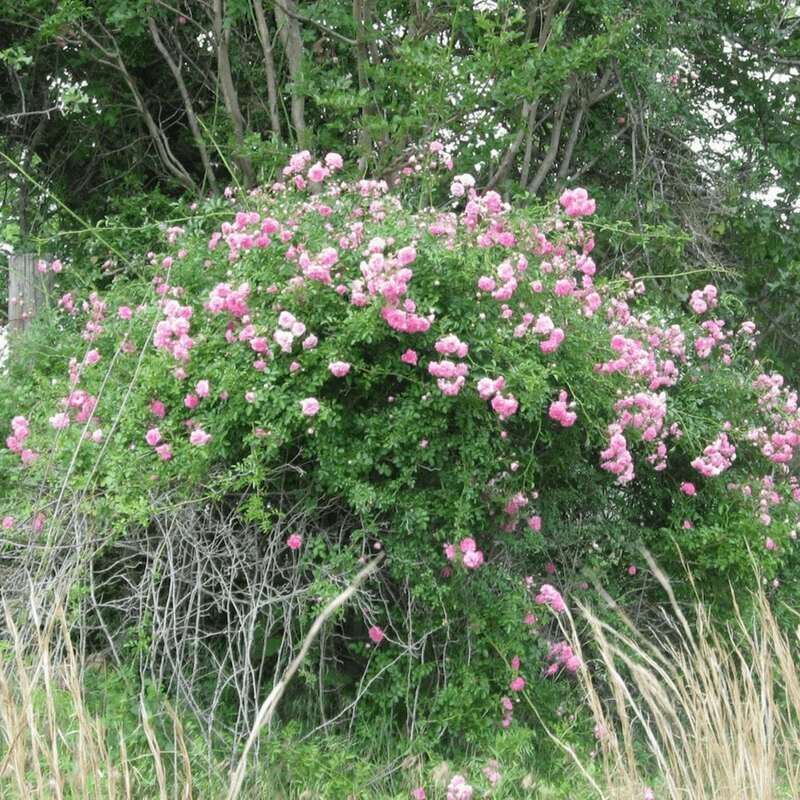 A wild Rose bush grows with sort of an umbrella shape, and if you look closely, there are trails all beneath the vines made by bunnies and chipmunks and squirrels… Those Rose thorns protect them from larger predators, like foxes and hawks, who can’t move through the brambles easily. And the really cool thing is, Rose will do this for you, too! These days, it’s tempting to lump a bunch of herbs into the category “anti-depressant”, because anti-depressant is a word that’s common in our vernacular, but it’s not a very precise way to talk about the emotional effects of herbs. A much better way to describe the emotional effects of Rose in particular would be to say that when your to-do list or the stresses in your life feel like a predator to you, Rose can give you the protective shelter you need. Rose is uplifting, and that’s exactly what you need when you’re feeling beaten down by the daily grind. To work with rose this way, you can make an elixir, which is a tincture mixed with something sweet, usually honey. I love to infuse fresh Rose petals right into honey, and then to blend it with a tincture of another uplifting, exhilarant plant such as Tulsi for a delicious and effective elixir. But if you’re in a hurry, you can just toss some Rose petals into your tea, or even faster, put a tablespoon or so of Rosewater (just from the grocery store is fine!) into a cup and add hot water – presto! The most delicious Rose tea ever! On days that I just don’t feel like I have the energy to take one more step, simple Rosewater + hot water really does wonders! You may think of rose as a beauty, but don’t forget the POWER! 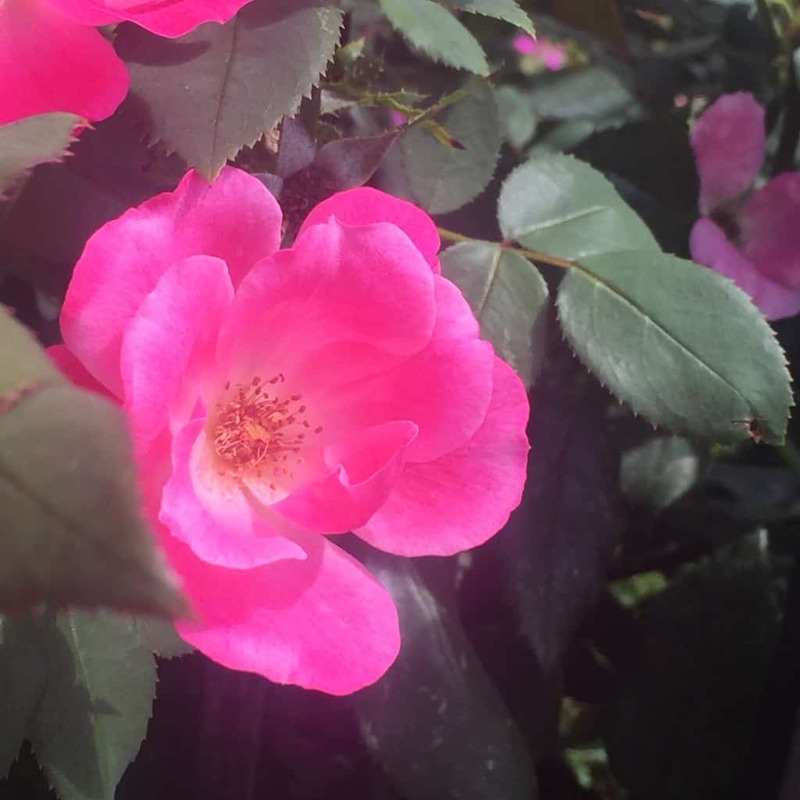 Rose is a fantastic antimicrobial astringent, and Rose water and Rose vinegar make an effective skin toner, particularly for people with acne. But it goes WAY beyond acne – Rose is an powerful wound care agent as well. Rose petals are a vulnerary (which means, they cause new cell tissue to grow in order to heal a wound) astringent, excellent for wound healing. And with its astringent, drying action, Rose is particularly effective for wet or weeping wounds when applied topically. We always carry Rosewater in our first aid kits as a wound wash! Rose is also fantastic for sunburns – in fact, it’s great for ANY burns! Sunburn, chemical burns, friction burns, and heat-induced burns can all heal faster when Rose is applied – the cooling action of Rose relieves the painful, hot sensation on contact. This came in real handy once when we were camping – one of our group burned herself badly on cooking oil but didn’t want to go to the hospital because she didn’t have insurance. We used Rosewater to wash it liberally, and then dressed it with raw local honey. Twice a day we repeated that process, and it healed up better than we could have imagined – no scar, no lasting tissue damage! Obviously, there are times when an emergency room really is needed (and in those cases, please do go to the ER! ), but in this particular case, that wasn’t an option and it was Rose to the rescue! We associate Roses with love, and there may be a physiological reason for that: Rose is a cardiac tonic, cools inflammation in the vasculature, and helps to restore the tone of lax tissue (see the cooling and astringent theme here?). Consider that paired with its protecting and comforting nervine action, and you’ve got a plant that’s way beyond romantic! Nourish your heart and love longer! Want the perfect Rosey trifecta? Rose petals, Rose hips, and hibiscus is a tasty blend that can keep your ticker going strong! Did you know that Roses are also food? 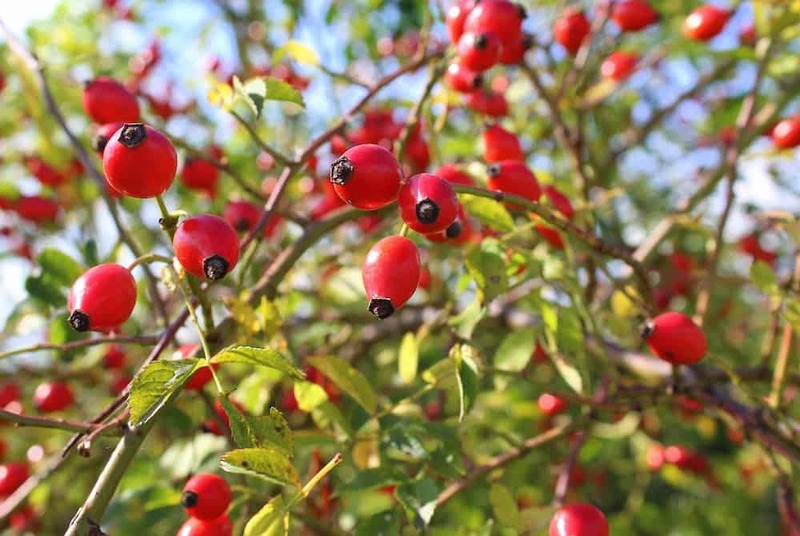 Besides the decadence of Rose petals in your salad and candied Rose petals for dessert, Rose hips are a super source of vitamin C! Of course you can put them in tea, but you can also make Rose hip jam, jelly, or chutney, add them to muffins for a sweet-tart treat, and you can even dehydrate Rose hip puree to make Rose hip fruit leather! Do make sure to remove the seeds before you use them, as they have little hairs that are irritating. What’s YOUR favorite way to work with Rose? Share it in the comments below! Want to know more about Rose? Check out the Materia Medica course module and learn all about more than 85 herbs for YOUR Herbal Toolbox!